You just finished your online order and look forward to receiving your brand new blouse in a few days. To be sure, you check your order confirmation and then you realize that you selected the wrong color. You call the client service immediately to change your order. It is no surprise that you end up on hold. After minutes of bad music through the phone you get more and more dissatisfied. Thanks to the Viennese startup orat.io this all gets a lot easier. With a short WhatsApp message, you can smoothly change your online orders. orat.io developed a technology which allows other companies to communicate with their clients through mobile messengers. The client service can directly contact the customers and provide them advice through WhatsApp, Facebook- or Telegram-messenger. Bernhard explains their vision: “We want to bring organizations and customers closer together with the use of digital communication channels.” The idea of orat.io is very relevant in sectors with strong mobile focus and high importance of customer loyalty. This applies for example to e-commerce businesses. Order updates, change requests and questions about the current location of the ordered product can be done via mobile messenger. Furthermore, photos and videos can be shared very easily. orat.io is a SaaS (software-as-a-service) product. This means that the customers of orat.io are companies which use their software monthly. Zalando or Amazon would have the chance to communicate with their clients through orat.io. 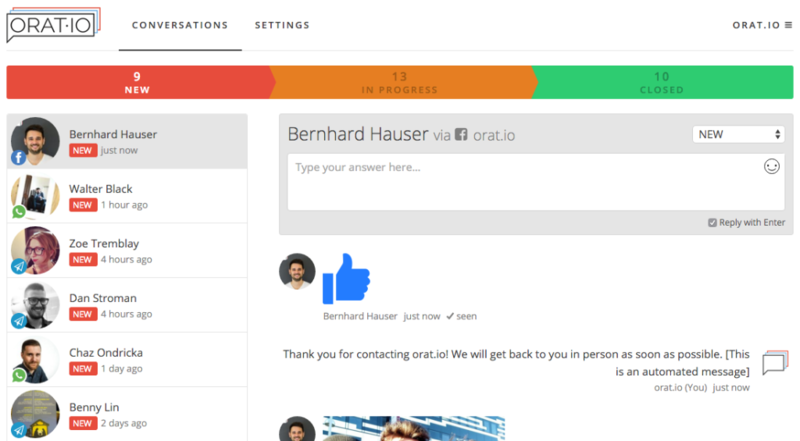 As an end customer we never get in touch with orat.io visually. However, it´s due to them that it all gets a lot more accessible. Bernhard and David are the two founders and a well-rehearsed team. Prior to orat.io they already founded and managed different business projects. Out of these previous projects they have gathered a lot of experiences. However, they realized one day that the problem which they were solving was not big enough. Bernhard explains: “It is an illusion to believe that right with the first project everything works out perfectly. I was 20 years old when I wrote my first line of a software program. Now, seven years later, everything looks a bit different. In the past it was a hobby, but it got bigger than expected”. 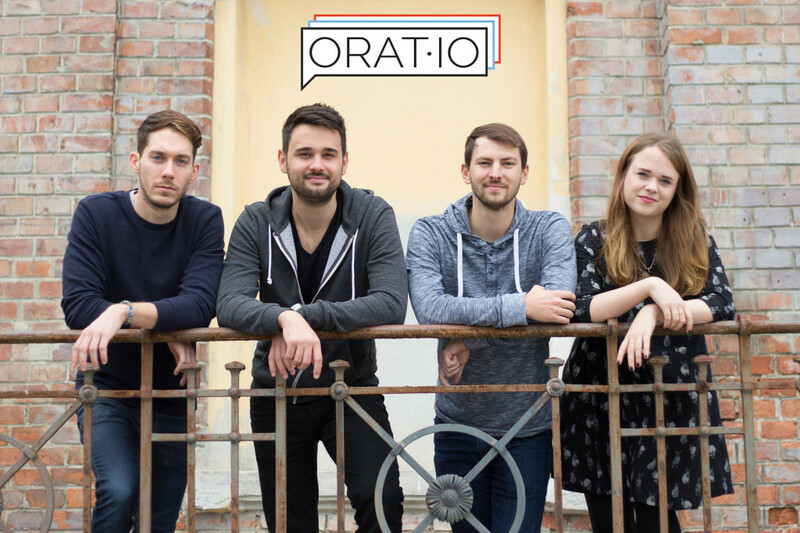 Today the founders are convinced that they can succeed with the idea of orat.io. From prior projects they have learned how to set up a startup, frame a financial plan or business model and they already have a network to rely on. Today, four employees work hard to push the idea of orat.io. For the near future the main focus of orat.io is on the continuous technology improvement. In close collaboration with the first users they analyze what works well and in what points they can still become better. They are also planning to integrate more special functions such as a team-user-function. Beside Development the topic Marketing gets more and more important and is a new challenge they have to overcome. A lot of work is waiting and orat.io is highly motivated to sort things out! We wish them all the best!